– Advancing engineering and technical practices for managing “cradle-to-grave” lifecycles of utility systems. – Facilitating effective coordination among utility infrastructure operators and owners and managers of other civil infrastructure. 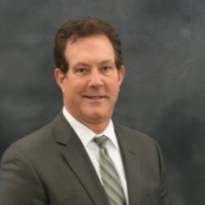 – Promoting Utility Engineering as a recognized Civil Engineering practice. – Promoting effective surveying and data management practices in Civil Engineering. – Enhancing the role of Utility Engineers and Engineering Surveyors in the development and delivery of Civil Engineering projects. UESI organization consists of a Board of Governors (BOG) who are responsible for managing the affairs of the Institute. The Board has accountability, as well as fiduciary, legal and strategic responsibilities and will focus on continuous strategic planning, collaboration, establishing desired outcomes, develops and approves policy imperatives to guide operations, and ensures that the Institute uses these policies to work toward meeting its vision and fulfilling its mission. – Pipeline – Advance pipeline engineering, relative to transmission of liquids gases or solids by pipelines. – Utility Risk Management – Provide leadership related to utility investigations, coordination, design, and data management and security. – Surveying and Geomatics – Provide leadership for the acquisition and management of spatial data, encourage the advancement of geomatics and professional development. – Asset Management – Advance and disseminate knowledge related to the holistic life-cycle asset management of utility infrastructureStandards – Responsible for identifying new topics for standards development and growing the overall UESI standards program. – Construction Management – Future: Will develop surveying and engineering best practices that employ established installation, inspection, project management, and construction management. UESI Key Communication Activities include Technical Conferences (Pipelines and Surveying Summit), Journals (Pipeline Systems Engineering and Practice and Surveying Engineering), Manuals of Practice, Standards, Webinars, Workshops, and UESI Newsletters. – Premiere industry event for practitioners covering the most current state-of-the-art engineering technologies for pipeline and utilities infrastructure. – Network with your peers, earn up to 26 PDHs, and expand your knowledge base to enhance the success of your projects. – Thought provoking interdisciplinary education, inspiring and enlightening keynote speakers, tours, short courses and networking opportunities with potential clients and project team leads. – One hundred top products and services in pipelines technologies participating in exhibition. – Explore the beautiful Phoenix/Scottsdale areas with world-class museums, renowned botanical garden in the nation’s largest wilderness preserve, an award-winning zoo, railroad museum, 1880s Western town, and Frank Lloyd Wright’s Taliesin West. As of February 2017, UESI membership is over 1,500 members strong and over 1,100 members have chosen UESI as their primary ASCE Institute. For an additional fee, UESI membership can be added to a member’s current institute affiliations. Other membership categories include institute-only and student members. UESI has 13 Charter Organizational Members (business, engineering firm or utility company) and three UESI Partners (Providing exchange of services). Five UESI local chapters have been established across the country. 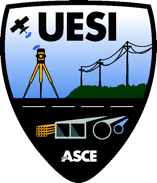 One UESI chapter is in Orange County, California and three chapters are in Florida as this is an area if the country where there’s been tremendous excitement about what UESI is doing for the utility infrastructure and surveying professionals. Other local chapters are in the planning stage for Los Angeles, CA, Philadelphia, PA and Phoenix, AZ. Two UESI State Chapters are being considered for Michigan and Texas. We had our joint March Meeting the Golden Gate Branch on March 30 at Scotts Jack London Square. Rita Schmidt Sudman, author of Water, More or Less, spoke about California water. Our May Meeting will be a joint meeting with the San Jose Branch. Professor Eugene Cordero, PhD, climate scientist and professor in the Department of Meterology and Climate Science at San Jose State University will be attending. Dr. Cordero will be speaking about climate change and what we may be seeing in the future. For our June meeting, our speaker will be from Engineers Without Boarders speaking about the Kenya Well Project. Annemarie Erbel, is their social media coordinator. Look out for EWRI on our new social media outlets. Cody Phelps, our new EWRI Marketing Chair will be in charge of it. We would like to welcome Annette Tardif, our new Treasurer. Since our Inaugural Dinner and Presentation at the end of 2015, we have made great strides in carrying out our Mission, “Serve and promote the structural engineering profession within the San Francisco Bay Area in a manner consistent with the purpose of the Structural Engineering Institute (SEI) of the American Society of Civil Engineers (ASCE).” We have been involved with engineering conferences and joint events with other engineering organizations; offered various technical tours and presentations; and participated in outreach and community events. Given that our local chapter of SEI is only just over 2 years young, it was great to see different member involvement in the events. Looking forward, Our Vision is to “Inspire and advance the art and practice of structural engineering, develop and implement programs to enhance knowledge exchange, networking, and other professional development and educational outreach activities.” To achieve this we need your continued involvement. In addition to providing technical tours, networking social events, and presentations, this year will bring some landmark events. We will be hosting the 5th Orthotropic Bridge Conference (www.5obc.org. Although the conference will be in late 2018, we have much to do in 2017, and are already underway. We currently have a very small planning committee, and will need to expand in order to continue the success that this conference has historically achieved. If you have an interest or questions regarding the 5OBC, please send your inquiry to info@5obc.org. Events for Spring include, a Happy Hour and Networking Social; and technical tours of the BART Extension Project and Architectural Glass & Aluminum. Please visit our website for details; www.seisf.org. In the summer, we will be holding our inaugural Officer Elections. Be a member of the board of directors and guide the future of our organization! I encourage you to visit our website, www.seisf.org, to obtain information regarding each officer position. Even if you are not seeking to be an officer at this time, there are many opportunities to be involved, such as being a part of the election and event committees, and even becoming a contributor or editor for our newsletter. Whatever it may be, we look forward to meeting and working with you throughout the year, continuing to make SEI SF a great and rewarding institute of the ASCE SF Section.